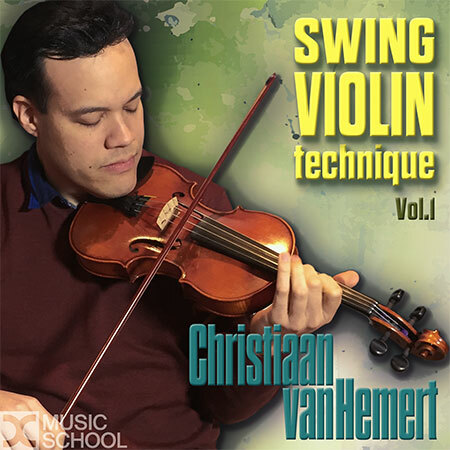 An in-depth study on the Jazz style of Violinist Christiaan Van Hemert. -Lessons where Christiaan shares his approach to music. Christiaan is one of the premier violinists in the current gypsy jazz scene and often performs as a guest of the Rosenberg Trio and alongside Stochelo Rosenberg in different groups. He has played with countless high profile gypsy jazz artists among which are Mozes Rosenberg, Paulus Schafer, Joscho Stefan, Fapy Lafertin, Tchavolo Schmitt, Roby Lakatos, Remi Harris, Gary Potter and many others. Besides his activities as a performer he is well known as an educator, teaching at the Rotterdam University of the Arts and in a host of educational videos online. He often hosts workshops worldwide both on violin and guitar and is an expert in the so called ‘Dutch Style’ of gypsy jazz. Together with Stochelo Rosenberg, he maintains and teaches at the online tuition site The Rosenberg Academy.